Large Thermal Radial Brush is rated 4.0 out of 5 by 1. Rated 4 out of 5 by Simonja from Perfect for my long bob I have been using my "LADY JAYNE Ceramic Radial Brush" for over a year now and I cannot dry or style my hair without it as I love working with this round brush. The brush is easy to use and creates the perfect inward curl for my long bob. I can curl my hair with this brush and leave the brush in the hair to cool down while I continue styling with another brush. 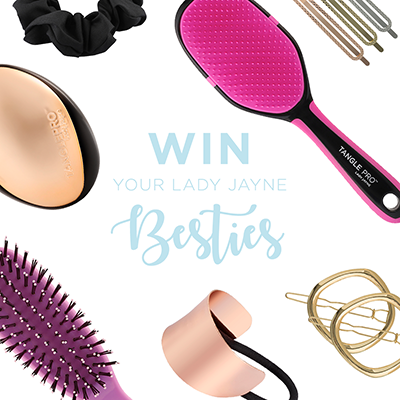 The LADY JAYNE Ceramic Radial Brush does not fall out of my hair as it has a similar effect to using velcro rollers. The only difference though I find, is that the brush does not tangle my hair when I take it out. The velcro rollers do :( I dropped the brush a couple of times and was worried that the 'ceramic' would break but when I picked it up, the brush was fine, no visible damage. 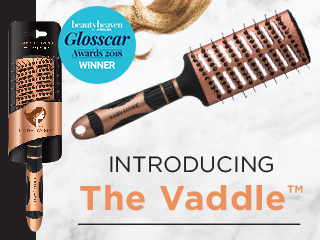 The heat with this brush is maintained longer than other 'ordinary' brushes and it's almost like putting hot rollers in your hair. I love the curls this brush and my dryer create. The only thing I don't like about this brush is the feeling of the gel handle.